6:50 PM PT -- The Biebs' manager, Scooter Braun, says ... Cannon's claim is "completely false and a fabrication from a man who tried to push for money for the last several years." Braun says he's disgusted Tobias is bringing race into the situation and denies Justin said anything racist. He adds ... "This is a smear tactic to get money and it’s gross ... and we won't be scared or blackmailed." 11:23 AM PT -- According to the lawsuit -- obtained by TMZ -- Tobias claims he suffered injuries to his head, neck and back ... also saying he lost consciousness during the fight. Cannon accuses Bieber of using "racial epithets" during the fight, but doesn't specifically mention what Bieber said. Justin Bieber is being sued by the man he got into an all-out street brawl with in Cleveland after Game 3 of the 2016 NBA Finals. Tobias Cannon just filed the lawsuit in L.A. against the Biebs, detailing the fight and holding the singer accountable for his injuries. TMZ broke the story ... the Biebs got into the massive scuffle with Tobias -- a MUCH bigger guy -- outside his hotel in downtown Cleveland. You can see in the video Justin gets into what appears to be a heated confrontation before Tobias, rocking a Cavaliers shirt, throws a light blow to Justin's head. Bieber responded with a right hook and then all hell broke loose. As we first reported ... Tobias filed a police report long after the altercation ... claiming he was trying to settle with Justin, but he wouldn't play ball. 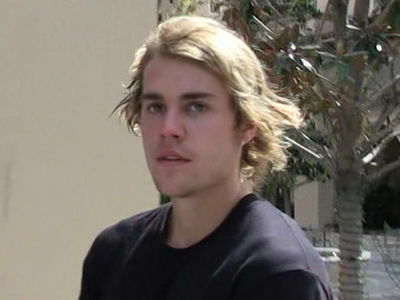 Bieber was named a suspect in a police report, with Tobias claiming the singer's crew got in on the action that ultimately landed him in the hospital to treat a concussion.